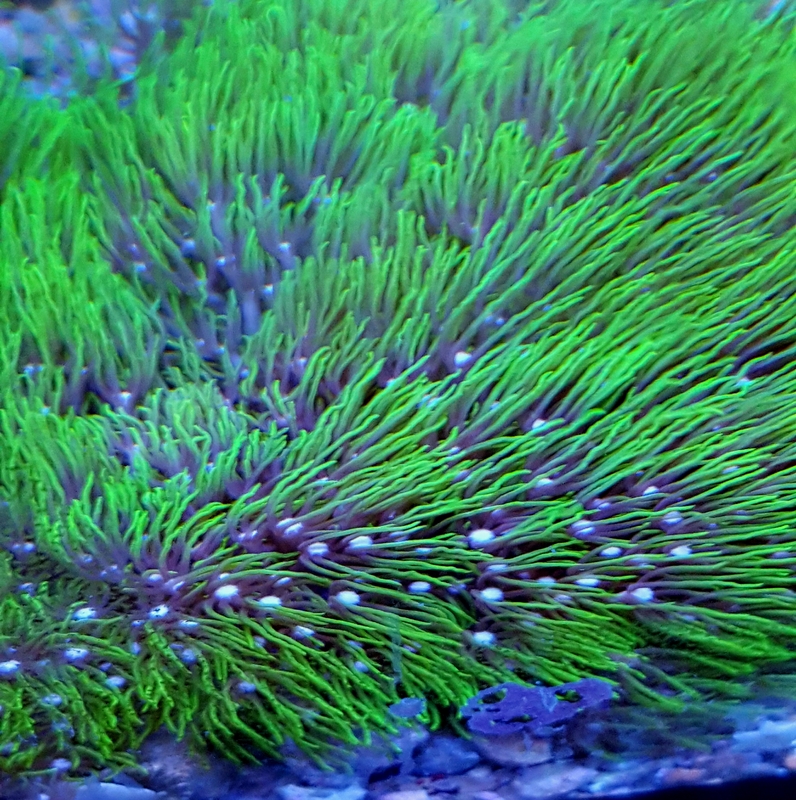 Green Star Polyps (GSP) are a very hearty fast growing coral that can add a lot of movement to a reef tank. I have both larger or smaller pieces available. They have been in the tank for six years.